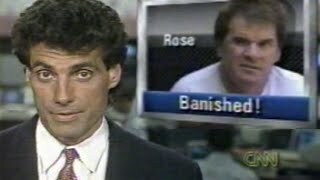 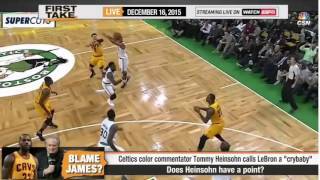 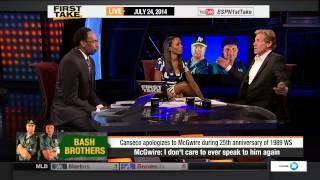 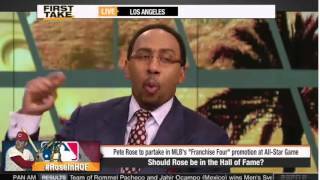 ESPN First Take - Pete Rose's Permanent Ban: Fair or Foul? 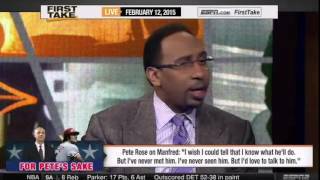 ESPN First Take is an American morning sports talk program on ESPN2 and ESPN2HD. 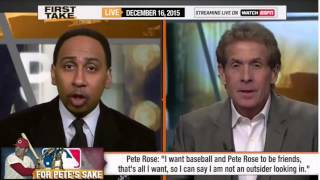 Should Pete Rose be forgiven and allowed back into Major League Baseball? 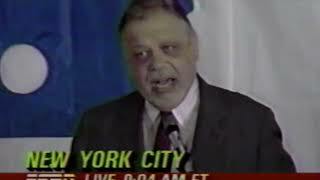 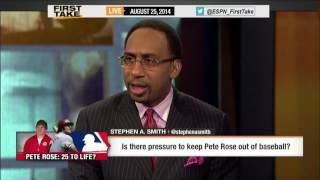 Espn First Take - Jermey Schapp joins First Take's Stephen A. Smith and Skip Bayless to discuss whether there is pressure to keep Pete Rose out of baseball. 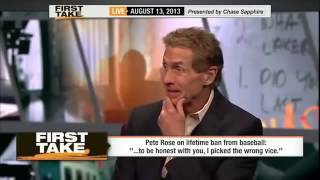 In a rare personal insight, Stephen A. shares his views about betrayal and how to deal with it through the examples of Mark McGwire and Jose Canseco. 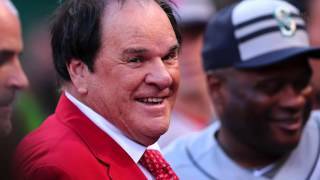 USA Today Sports reports on MLB commissioner Rob Manfred's decision not to lift the lifetime ban on Pete Rose. 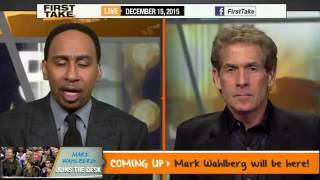 ESPN First Take Today (12/23/2015) - How much of a pass does Dez deserve for this season? 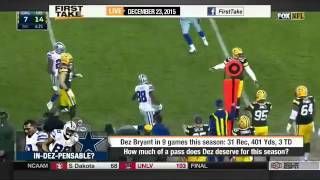 ESPN First Take Today (12/23/2015) - How much of a pass does Dez deserve for this season? 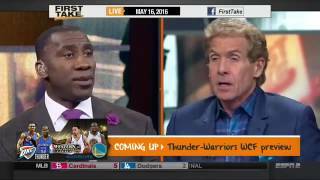 ESPN #firsttake #firsttaketoday #nntv.